from Germany, gave up using money 15 years ago . . .
. . . and says she’s been much happier ever since. 'Heidemarie’s incredible story began 22 years ago, when she, a middle-aged secondary school teacher emerging from a difficult marriage, took her two children and moved to the city of Dortmund, in Germany’s Ruhr area. One of the first things she noticed was the large number of homeless people, and this shocked her so much that she decided to actually do something about it. She had always believed the homeless didn’t need actual money to be accepted back into society, only a chance to empower themselves by making themselves useful, so she opened a Tauschring(swap shop), called “Gib und Nimm” (Give and Take). 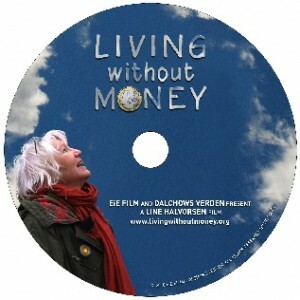 'The documentary Living Without Money portraits the life of 68 year old Heidemarie Schwermer, a German woman who made a deliberate choice to stop using money 14 years ago. She cancelled her apartment, gave away all of her belongings and kept nothing but a suitcase full of clothes. This was a decision that changed the entire outlook on her life dramatically.